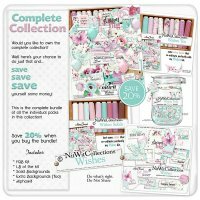 "Wishes" Too additional background paper pack does not leave you "Wishing" for the perfect background paper...it's here!! 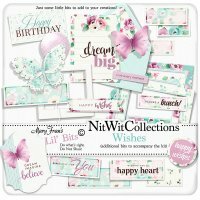 These background papers are NOT included in the FQB "Wishes" Collection so please don't miss out! 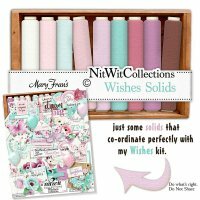 Included: 15 Digital background papers that coordinate and colour match my FQB "Wishes" Collection. 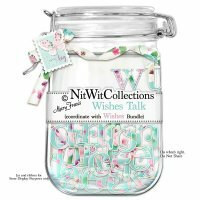 "Wishes" Talk wraps the feel of this digital kit into the letters and numbers that you will need to create stunning scrapbook layouts, cards and mini albums. Included: 1 Alphawit set of lowercase letters, &, exclamation mark, hyphen, question mark, quotation mark and set of numbers(0 to 9). 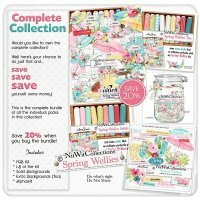 "Spring Wellies" Too additional background paper pack delivers even more background papers to you. Find the perfect coordinate in the perfect colour....it makes creating a dream! 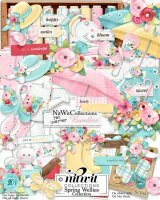 These background papers are NOT included in the FQB "Spring Wellies" Collection so please don't miss out! 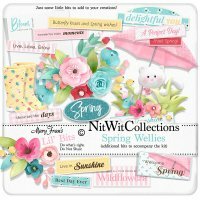 Included: 16 Digital background papers that coordinate and colour match my FQB "Spring Wellies" Collection.